Who is At Risk for Oxycodone Addiction? Most people use oxycodone as prescribed by their healthcare provider and experience no adverse effects. However, the risk of addiction rapidly increases when people take more than the recommended dose or continue to use for long periods of time. acetaminophen and sold under the names Percocet or Roxicet. Dissolve pills in water and administer the solutions intravenously. Taking oxycodone intravenously is a particularly dangerous practice, as it can result in profound clotting and vascular inflammation (thrombophlebitis) as well as other life threatening cardiovascular system injury and infection. Financial difficulties; asking for money with no apparent reason. Poor personal hygiene and lack of regular grooming habits. Physical deterioration, such as unexplained weight loss. Addiction to prescription drugs can sneak up on you when you least expect it. If you see these signs in yourself or a loved one, call 1-888-993-3112Who Answers? for information about oxycodone addiction treatment options in your area. The many physical effects of oxycodone abuse include difficulty breathing, low blood pressure and liver damage. However, the effects depend largely on the route of administration. Injecting oxycodone can case your vital organs to shut down.Injecting the drug is risky because the substance enters the bloodstream immediately and travels to the brain in a matter of seconds. Cardiac arrest and a sudden drop in blood pressure, with resultant decreased perfusion or blood flow to various vital organs are distinct consequences of intravenous oxycodone abuse. Prolonged, intense intravenous drug use can result in shutdown of vital organs and, over time, lead to marked physical degeneration. Frequent injections can also damage the skin, muscles and veins. Snorting the drug is hazardous because crushing removes the protective coating on the pills. The drug is absorbed quickly through the mucous membranes of the nostrils, which creates a rush--an immediate feeling of intense euphoria. Similarly, chewing crushed oxycodone tablets also causes the substance to enter the bloodstream rapidly. Rapid drop in blood pressure. 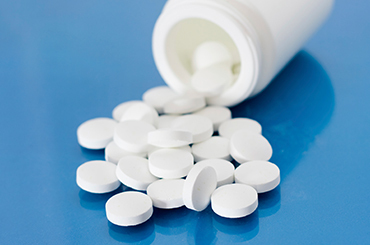 Oxycodone abuse can also contribute to depression, anxiety, panic and paranoia. Mixing oxycodone with alcohol is especially dangerous because the effect of each is magnified. People sometimes use one drug to counteract the side effects of another. For example, oxycodone may be used to minimize insomnia that results from use of cocaine. Mixing oxycodone with alcohol is especially dangerous because both substances are central nervous system depressants, and the effect of each is magnified. Combining drugs also alters absorption in the body by affecting how the drug is metabolized in the liver. Ingestion of 2 or more substances can create dangerous metabolites that are more toxic than either drug used on its own. Larger amounts of the drug are used than intended, over a longer period. Continued use of the drug despite awareness that recurrent or persistent problems are caused or exacerbated by the drug. A strong desire or craving for the drug, with unsuccessful efforts to cut down or control use. Use of the drug in dangerous conditions such as driving a car or operating equipment. A great deal of time is dedicated to obtaining and using oxycodone or recovering from use. Recurrent use of oxycodone causes one to neglect their basic obligations. Users forego typically enjoyable social or recreational activities due to the use of the drug. Development of tolerance, marked by reduced effect of a usual dose or a need to use more of the drug to attain the same results. Withdrawal, characterized by typical opioid withdrawal symptoms or use of more of the drug (or a similar drug) to avoid or reduce symptoms. Combining oxycodone with other substances--including alcohol--may increase your risk of addiction. People with a personal or family history of addiction to alcohol or drugs (prescription or illegal) are at higher risk of addiction. While this is commonly accepted, addiction researchers aren't as sure about the risk for people who have not abused drugs in the past, or how chronic pain affects addiction to oxycodone and other opioid pain medications. Other factors that may influence the risk of addiction include how the drug is used, (i.e. injection, chewing or snorting), and if it is combined with other substances. Childhood sexual abuse or neglect. People between the ages of 16 and 45 are also at higher risk. If someone you love is struggling with an addiction to oxycodone, or if you are concerned about your own use, it's important to seek help as soon as you are aware that a problem exists. It is not necessary to wait for rock bottom. This may mean bankruptcy, divorce, physical illness or even death. Recovery is possible for anyone with the strength and means to attain it. Our knowledgeable phone support operators are available to help you on the path to recovery by connecting you with treatment centers that cater to your needs. Call us at 1-888-993-3112Who Answers? today. When a person is addicted to oxycodone, friends and family face a tremendous challenge, especially if the person is in denial or unwilling to accept help. Go "doctor shopping," which involves obtaining prescriptions from multiple providers. Exaggerate their level of pain to receive stronger prescriptions. Steal from family or friends. Purchase illegal oxycodone from dealers on the street. Life becomes chaotic, and people close to the addicted person experience guilt, shame, anger, frustration and helplessness. Don't try to manage the situation on your own. Don't expect your loved one to stop using oxycodone without help. Talk to a trusted friend or family member about your situation. Seek counseling if you are dealing with anxiety or depression. Learn all you can about addiction. Read about enabling, which occurs when friends and family members who are attempting to help make the problem worse. For example, enablers may pay bills, make excuses or clean up messes, which do not provide any incentive for the addicted individual to get help. Many people benefit from pharmacological intervention in which oxycodone use is replaced with prescription opiates, which are used under close medical supervision. Methadone is the drug most commonly prescribed, but newer medications such as buprenorphine are alternatives that show great promise. Outpatient treatment may be the best option for people unable to take lengthy absence from work or school, or those who are ambivalent about the structured environment of residential treatment. Partial hospitalization (PHP) is sometimes known as day treatment. PHP offers intense treatment consisting of at least 20 hours per week. People usually sleep at home, but some programs provide comfortable housing on-site. Residential (inpatient) treatment is intense, around the clock treatment that usually requires at least 30 days and sometimes as many as 60, 90 or more, as will be determined necessary by a treatment professional. Usually, residential treatment facilities provide comfortable, homelike accommodations with healthy meals and shared rooms. Residents are often required to help with daily chores or cooking. Luxury treatment involves resort style accommodations with gourmet meals and private rooms. Executive treatment is for executives and professionals that require utmost confidentiality and an environment that allows them to maintain work responsibilities via access to Internet and other technology. 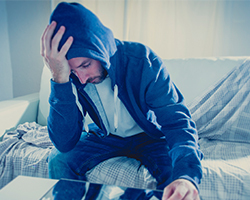 NIDA for Teens reports that after tobacco, alcohol and marijuana, oxycodone, and other prescription drugs are the most commonly abused substances by adolescents 14 and older. Teens often get oxycodone from friends and family members, often without the person's awareness. Talk to a parent or another trusted adult. Talk to a medical provider who can assess the situation and help you determine if you need to enter a treatment program. If you are a parent and you are concerned that your teen is abusing oxycodone, be aware that teens are excellent at covering up or hiding the addiction. 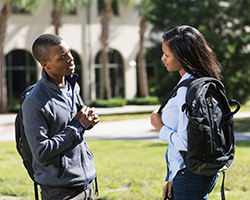 If you notice signs and symptoms of oxycodone abuse, have a calm, honest discussion with your teen, without recrimination or blame. Don't wait, because continued use of oxycodone can lead to the use of heroin or other drugs. Teens may also be more prone to mixing oxycodone with alcohol or other substances, or simply taking oxycontin in excessive doses--all situations placing them at higher risk of accidental overdose.